As part of an ongoing multi-year SERC Research Task led by University of Virginia,InkiKim_headshot the research effort focuses on development of cyber attack resilience concepts for cyber-physical systems, an experimentally-based set of activities have been focused on exploring human factors issues. In particular, situations involving human operators have been simulated where cyber attacks have been detected by a dedicated monitoring sub-system (referred to as a Sentinel), and a system operator is alerted and provided with relevant system reconfiguration advisories. The simulated attack scenarios include possibilities for extreme events, including possibilities for killing or seriously injuring people. The research effort has focused on operator responses to the detections and advisories, including a collaboration project with the MITRE Corporation in a simulation activity at Creech Air Force Base involving pilots remotely controlling attacked unmanned aerial vehicles (UAVs), and a collaboration project at Wright-Patterson Air Force Base (WPAFB) with the Air Force Institute of Technology involving experiments with 32 airmen remotely controlling attacked unmanned ground vehicles. The Creech Air Force Base effort raised a number of significant human factors questions that are especially pertinent to system reconfiguration responses to cyber attacks, while the more focused WPAFB experiments addressed the relationship between a particular operator behavioral characteristic (level of suspicion) and operator responses. The Talk provides the results from these efforts and their implications on operator selection and training, including identifying a broader set of needed integrated human factors and system design research activities focused on cyber attack resiliency. As part of an ongoing multi-year SERC Research Task led by University of Virginia, the research effort focuses on development of cyber attack resilience concepts for cyber-physical systems, an experimentally-based set of activities have been focused on exploring human factors issues. In particular, situations involving human operators have been simulated where cyber attacks have been detected by a dedicated monitoring sub-system (referred to as a Sentinel), and a system operator is alerted and provided with relevant system reconfiguration advisories. The simulated attack scenarios include possibilities for extreme events, including possibilities for killing or seriously injuring people. The research effort has focused on operator responses to the detections and advisories, including a collaboration project with the MITRE Corporation in a simulation activity at Creech Air Force Base involving pilots remotely controlling attacked unmanned aerial vehicles (UAVs), and a collaboration project at Wright-Patterson Air Force Base (WPAFB) with the Air Force Institute of Technology involving experiments with 32 airmen remotely controlling attacked unmanned ground vehicles. The Creech Air Force Base effort raised a number of significant human factors questions that are especially pertinent to system reconfiguration responses to cyber attacks, while the more focused WPAFB experiments addressed the relationship between a particular operator behavioral characteristic (level of suspicion) and operator responses. The Talk provides the results from these efforts and their implications on operator selection and training, including identifying a broader set of needed integrated human factors and system design research activities focused on cyber attack resiliency. 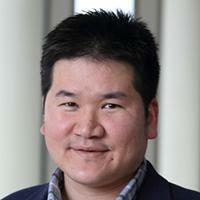 Dr. Kim is an Assistant Professor in the Department of Systems and Information Engineering, and a faculty advisor for Human Factors Student Chapter at the University of Virginia. His research interest focuses on experiment, simulation and modeling of human behaviors and performance while interacting with advanced technologies. He supervises a laboratory (HCSI: Human-Centered Systems and Innovation) to empirically test cognitive and physical responses of people in reality and Virtual/Augmented reality. 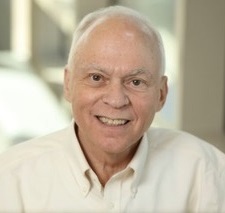 During his Ph.D. program at Penn State, he developed a virtual haptic simulation for resident training, and it was recognized in the Human Factors and Ergonomics Society (HFES) and the Institute of Industrial Engineers (IIE), and the work contributed to winning research grants from the National Institute of Health (NIH). Before joining the Ph.D. program in 2009, he had conducted and supervised thirteen industry projects to improve usability and affective responses to various consumer products for IBM, Hyundai Motors, LG Electronics, LG chemical, and the Korea Railroad Corporation. Earlier during his M.S. program at Seoul National University, Korea, he built a statistical model to predict affective responses of cinema audiences based on the visual and auditory cues in movies, and the research was sponsored by the Korea Film Council.